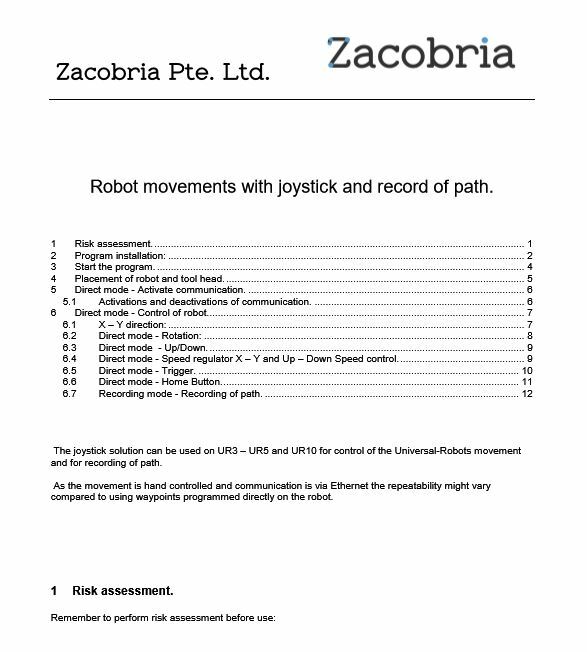 Manual for joystick solution with recording of path for blasting application. 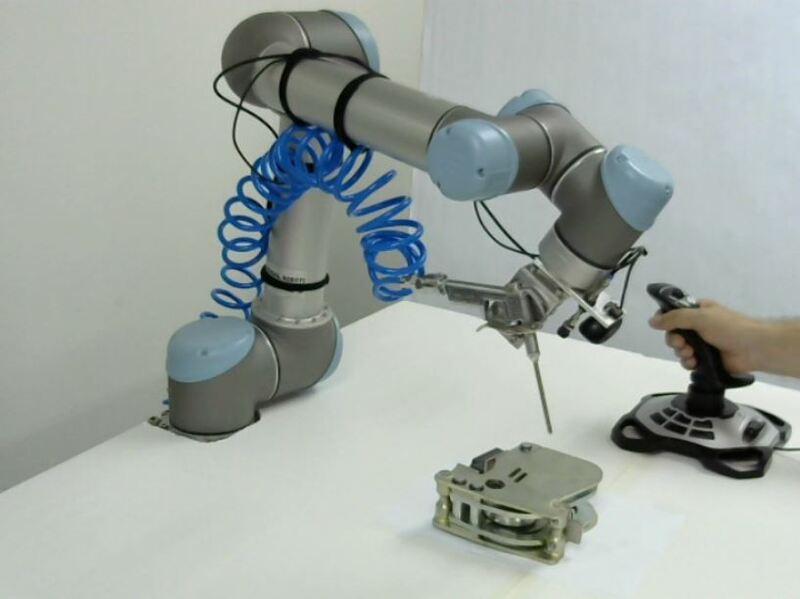 Applying a regular joystick for teachin the Universal-Robots the path for blasting. This application utilizes a regular normal off the shelf joystick. Zacobria Pte. Ltd is a Singapore based accredited Universal Robots support Centre and Forumand authorized Robotiq and MiR distributor.